Mr Patrick Masambu was elected as the Director General of the International Telecommunications Satellite Organization (ITSO) at the organization’s Assembly of Parties meeting held in Washington, D.C in October 2016. Up to the time of assuming his new appointment that took effect on 18th July, 2017 Mr Masambu served as the Deputy Director General and Director of Technical Affairs at ITSO Headquarters in Washington, D.C for a period of 7 years. In this role, he made significant contributions to top level decision making in ITSO as well as related key satellite industry initiatives. 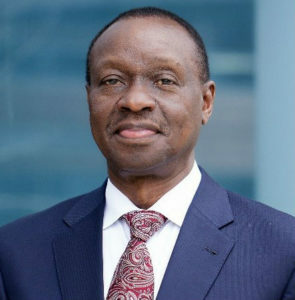 In the period prior to the year 2010, Mr Masambu held several top level management positions in Uganda’s telecommunications sector, where as the founding Chief Executive of the country’s communications regulatory agency, the Uganda Communications Commission, he had the opportunity to spearhead the country’s telecommunications and ICT reforms, operations and regulation. In parallel with these duties, Mr Masambu has, throughout much of his career, actively led and participated in the design, development and implementation of various works and initiatives at regional and international level institutions such as the International Telecommunications Union (ITU), Commonwealth Telecommunications Organization (CTO), African Telecommunications Union (ATU), World Bank and a number of Academic Institutions. Mr Masambu holds MBA and B.Sc(Engineering)(Hons) degrees; a Postgraduate Diploma in Telecommunications Systems Management and several certificates in specialized disciplines in telecommunications; regulation and ICT.